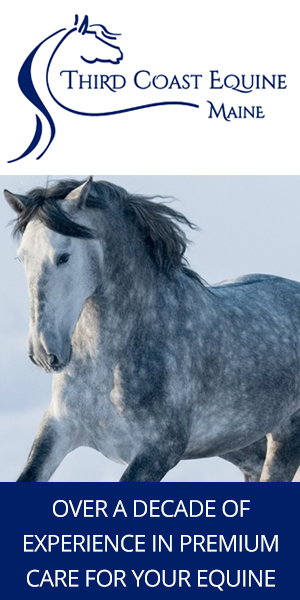 We hear from Best Horse Practices Summit steering committee member, Julie Kenney. Julie lives and rides in Harpswell, Maine. 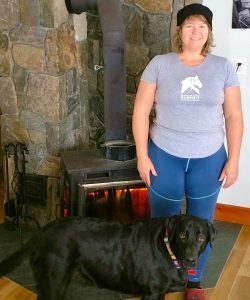 She reviewed LL Bean’s heavyweight baselayer pants for us. That’s what we always called them when I was a kid. Turns out Long Johns were named after the late-19th-century Boston boxer, John Sullivan. He only wore this kind of long underwear in the ring. John Smedley Mills in Derbyshire, England, is said to have created long underwear and dubbed them Long Johns after Sullivan, the famous heavyweight. Nowadays, we call them baselayers. 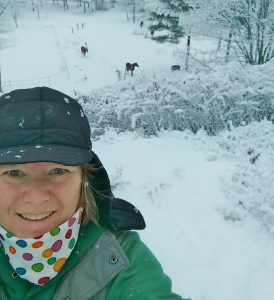 I’ve worn these baselayer pants under snow pants for horse chores with amazing comfort. They kept me warm, not hot. I’ve worn them under jeans when doing errands in town. With a wide waistband, they are super-comfortable and don’t bind anywhere. I used the LLBean sizing guide on-line to assist me in choosing the correct size and it was spot on. I’ve also put the pants through the wash several times with excellent results. Another test from childhood: Can they be worn by themselves around the house? Yes. It brings me back to childhood when that’s all you’d wear inside during a snowy day: Strip off your snowsuit, have a cup of cocoa, head back outside for more sledding. This baselayer pant is truly worthwhile. Winter is here, I’m ordering myself another pair to have when this one’s in the wash.
Posted in Gear, Maine, Reviews and Links.